Prospective Body Well Contract Therapist FAQs. We are all about win win relationships. Please review the following information so that you fully understand this opportunity before submitting your application. To access the application click the green bar below the FAQs. 1.) What kind of work does Body Well do? We provide therapeutic massage primarily in client’s homes, hotel rooms, and offices. We also provide some in-home “medical massage” involving people injured in accidents. Body Well has worked with more than 200 therapists and performed more than 10,000 on-site massage services since 2005. 2.) What are the minimum qualifications for your therapists? You must be licensed/certified in your respective state, and must carry their own liability insurance. You must also have reliable transportation and own good quality massage equipment. 3.) How does it work, basically? What do you consider ‘on call’? As a contracted therapist, you give us a general idea of your schedule including your availabilty. Essentially we need to know when you would like to be considered for an assignment. When something comes up, we try to find the best possible therapist available. Unlike some services and most spas/clinics, we do not consider our on-call therapists to be obligated to take an assignment (unless we have agreed to some kind of special arrangement). So if the first person we call is unavailable – that’s OK. We keep trying others on our roster. We try to have just enough therapists on our roster so that we can accommodate most requests. 4.) What kinds of qualities do your most successful therapists possess? You have a flexible and relatively open schedule (evenings and weekends a plus) which makes it more likely that you are able to accept assignments when they become available. You provide a high quality, satisfying therapeutic massage (often with excellent deep tissue skills) generating repeat clients. You have good communications skills, making it easy to reach you by phone, text and email, and also return calls/messages promptly. You have a positive attitude, making clients feel at ease, and also appreciating all of the work that goes into finding clients and running the business smoothly. You understand and are able to follow standard procedures so that we can avoid unnecessary complications, miscommunications or misunderstandings. You are team player and see the big picture, realizing that even though every assignment isn’t perfect (a little far a away, not the best tip, etc.) that overall things work out pretty well for everyone. You can also do chair massage jobs. 5.) How much work should I expect if I am contracted? This depends on a variety of factors, and many of them are up to you. We have some therapists who work virtually every day, and others who may only work once every two weeks. We have some therapists who we call for work the same day they are contracted, and others who may not hear from us for a week or more.Therapists who can generate repeat clientele will become busier – not only with those specific clients, but also because when we see this, we will want to assign these therapists as much as possible to see other new clients as they find us.Therapists who have a more open schedule are also more likely to get more work. We can not predict, or dictate when and where clients want a massage. It is often completely unpredictable. Sometimes is comes down to luck and timing. A therapist has, the more likely you will be able to take a job when offered.Demand also varies by season and other hard to predict factors.The bottom line is that new therapists should have very little expectation and not have any minimum amount of work requirement. The work should be seen as a bonus or a complement to other means of generating income – not something to rely on. Over time, a more predictable pattern or average usually emerges. 6.) What is the pay? We strive to find a good balance between paying a fair amount to our hard-working therapists while also earning enough for the business to continue paying for our staff’s salaries, our marketing activities, and all of the other things that allow the business to run and continually create opportunities for our therapists to work. Generally we pay 50% of our published rates, which can be viewed on our web site. 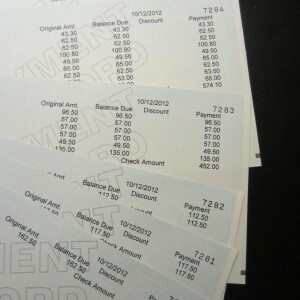 Additionally, if you do not receive a tip (which is very rare) we will add up to $10 more to your pay out of our end. Some multi-hour assignments can pay as much as $200 or more. 7.) How long does it take to get paid? We put a check in the mail for all jobs within 10 business days. 8.) What kinds of clients would I be seeing? We serve all kinds of clients seeking therapeutic massage. Some seek relaxation and stress relief while others are looking for deep tissue to work on a specific problem. We also have occasional requests for modalities such as lymphatic drainage and prenatal massage among others. 9.) Do you screen clients? We understand that this is a legitimate concern. Over the years we have seen fewer and fewer problem clients for a variety of reasons. It starts with a very professional website, and continues with professional customer service. Our representatives are well trained in identifying red flags and will make it as clear as necessary in case there is any question that our services are strictly professional. We can not guarantee 100% perfect behavior from all clients, so we rely on our therapists to take responsibility for themselves and handle all situations appropriately. 10.) What kind of advance notice do you provide? In a perfect world we would always have days of advance notice, but the truth is we do our best with what we get. Sometimes it is just an hour or two and other times it may be weeks in advance. Because of this unpredictability, we understand that many times it is impossible for a therapist to accommodate short notice, and in fact sometimes we have to turn that business away if no one is available. 11.) What is the rest of the process to become one of your contract therapists? If everything you’ve read so far makes sense and you feel like this opportunity suits you, we look forward to learning more about you!The next step is to complete a quick online questionnaire/application that should take less than 10 minutes to complete. This will provide us with some essential information about you, and also help us immensely to determine if we have a good fit based on our needs at this particular time in your area.You will also be able to attach a recent photograph of yourself. Why? We receive many inquiries from many different regions. Putting a name to a face helps us to keep track of who we’ve corresponded with. Further, it helps to give us some idea of the first impression our therapists would make when showing up to our client’s door. For the record; we do not discriminate and have always had therapists representing a wide range of ages, colors and backgrounds. You are not required to submit a photo, but applications including one will be given priority consideration. Once we have received your information, if we believe there is a good fit, we will contact you to review your application. The final step would be an interview including a 30-minute demonstration of your work. If we do not have an immediate need in your area for more help, we will keep your information on file for future reference. 12.) It all seems kind of complicated – why so many steps? We are all about keeping things uncomplicated and our intention is not to be intimidating. We’ve been doing this for a long time. We’ve learned a lot about what kind of therapists make for a good fit based on what we do and how we do it. Finding the right therapists to see our valued clients is the most difficult and time consuming part of what we do. This process helps us to maximize the limited amount of time our owner (who conducts all of the interviews personally) can make available for discussing the opportunity and meeting with qualified candidates. 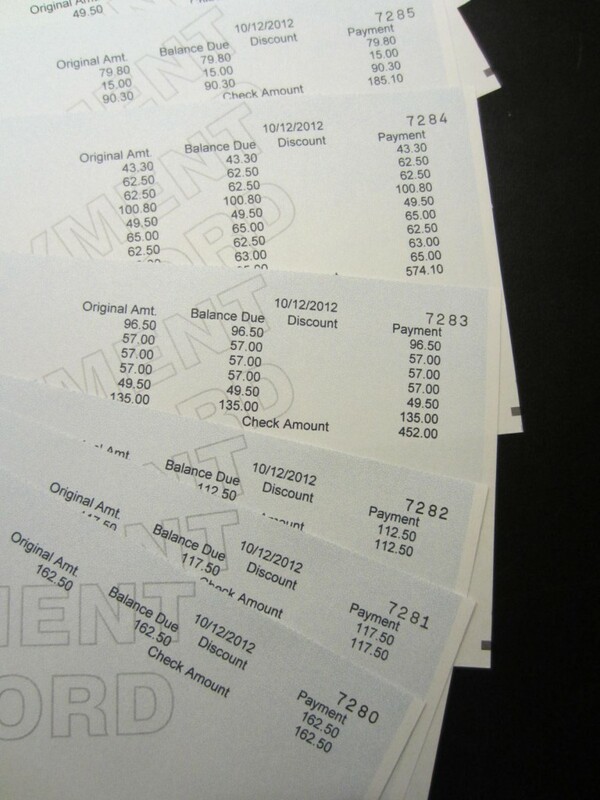 Here you will see a sample of some recent pay stubs from the workweek of 9/30/12-10/6/12. Each line represents one assignment’s total pay (some charged tips and parking reimbursements are also listed in this sample). As you can see, some therapists work more than others and assignments vary depending on the work performed.